The climate of responsible drug use in the Netherlands has reached its end. The rejection of advices from research institutes – such as the Municipal Health Service (GGD) and Trimbos Institute – by political leaders and the Public Prosecutor (OM) in order to maintain a harm-reduction policy towards drug users has changed. Instead, the emphasis is now on crime control. Not only has a zero tolerance policy towards drug use been established by the police in 2005 during the cabinet led by former Dutch Prime Minister Balkenende; this year, the so called ‘Wietpas’ (http://nl.wikipedia.org/wiki/Wietpas ) is introduced allowing only Dutch citizens to be able to buy cannabis or hasj at a coffeeshop. These measures will push the soft drug market slowly into the criminal sector. The Netherlands, a country once known for its tolerance and compassion is no longer the same. Where does this change come from? According to an article in the Volkskrant (http://www.volkskrant.nl/vk/nl/2686/Binnenland/article/detail/892797/2008/08/16/lsquo-Zero-tolerance-drugs-ondoordacht-en-onnodig-rsquo.dhtml), the police have had many complaints because of their low detection rates in the past. The Netherlands has always put the emphasis on drug criminality; not on the use of it. By shifting the emphasis to drug users, large festivals are an easy target. This is beneficial to police statistics. Why does the Dutch police force pursue these numbers and statistics? Why is it that the Dutch police force has shifted from an ‘anything goes’ policy to zero tolerance in only ten years? In the mid 90s, the New York Police Department (NYPD) introduced the zero tolerance policy when the city of New York wanted to gain greater control over crime and make the city a safer place again. This ultimately became a great success and a new export product for foreign police corps. According to Maurice Punch who conducted research commissioned by Police and Science (http://www.politieenwetenschap.nl/pdf/van_alles_mag_2006.pdf ), the Dutch police force have imitated the success formula of the NYPD during the 90s. In 2004, during the cabinet of Prime Minister Balkenende, the police force suffered great pressure from the government, a lack of trust among the population, and gained attention from both politics and the media. Police chiefs reacted by doing what managers in corporate businesses already did: quickly pick up fashionable ideas which they thought might lead to better results. He continues to say that the frustration of being under attack by an intrusive government, incident orientated administrators, rude media people and armchair scientists could have led to putting the emphasis on change and strong language. Maurice Punch claims that the Dutch police force has not copied the zero tolerance policy without critique. Although the progressive values within the Dutch police force are still intact and the Netherlands distinguishes itself from the United States punitive practices and ideas, the current drug policy shows otherwise. Ton Nabben, drug researcher and instructor linked to the Bonger Institute at the University of Amsterdam, claims in his thesis High Amsterdam that the emphasis has shifted from disease prevention and health promotion to a crime control policy. 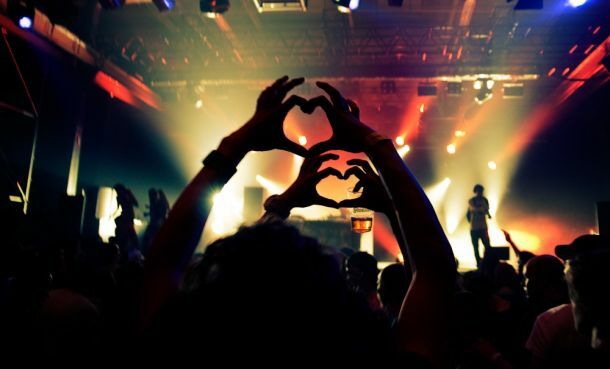 Before the zero-tolerance policy was established, visitors of clubs and festivals were allowed to have two Ecstasy tablets. Nowadays, people can get arrested for taking half a pill. The focus on small crime is one of the elements of the zero-tolerance policy that is questioned by Maurice Punch. “The argument, that if one focuses on disorder and minor offenses, heavier crimes are automatically solved, may not be universal.” Although police statistics show that there have been more drugs confiscated after the zero-tolerance policy has been established, the quantities that are confiscated in clubs or at festivals remain small and insignificant, states Ton Nabben in Trends in alcohol, tabak en drugs bij jonge Amsterdammers (Antenne 2004). It indicates that the (small) dealers are not caught and that the numbers and statistics only show what is confiscated from visitors attending these events. Historian Marcel de Kort states in his book Between patient and delinquent. The History of Drug Policy in the Netherlands that the more the police search for drugs, the more they will find. One may conclude that shifting the use of drugs from a non-criminal act to a criminal act thickens police figures. These measures have serious effects on the health and safety of people visiting parties. A drug dealer who wishes to remain anonymous says he doesn’t go to some local nightclubs anymore because of the heavy inspection. He does continue to visit smaller (illegal) events in and around the city. People whom this reporter spoke to claim to have seen the use of GHB in bars and pubs. “The only thing that is changing because of the zero tolerance is a rise in illegal parties and more parties at home because people know that they won’t be checked there. And that’s the opposite of what the Netherlands want because there is no control of anything. If research were conducted, we could guarantee that the growth in numbers of the illegal parties is a direct result of this. And I see it when I’m at those parties. Everyone is wasted in a way that is beyond all reason,” says Gert van Veen. This reporter visited illegal parties in the past, where a large number of people were passing out one by one. Also, the lack of safety at some locations resulted in at least one serious accident when a party goer fell from 4 meters height during an illegal rave and ended up severely wounded (http://www.rtvutrecht.nl/nieuws/335525/zwaargewonde-op-illegale-houseparty). Looking back into history, the criminal prosecution of drug use started in the Netherlands after the first Opium conference in 1909 on the initiative of the United States. The increase of medical drug use within society and the rising problems surrounding general drug use was already evident earlier in the U.S. before it appeared in the Netherlands. Countries such as England, Germany and the Netherlands that shared these economic interests, continued the trade in opium and cocaine until the United States issued a threat, which ultimately lead to the International Opium Act of January 23rd 1912, with 60 signatory countries (http://www.rnw.nl/nederlands/article/honderd-jaar-war-drugs-begon-den-haag). The signing of the United Nations (UN) treaty in 1961 has imposed on the Netherlands an international duty to resolve drug problems; this limits their capabilities on a national level. The ‘War on Drugs’, a term first used by former U.S. President Nixon in 1971, has led to the start of a campaign to reduce the illegal drug trade worldwide. In the year 2000, former U.S. President Bill Clinton accused the Netherlands of not handling well the illegal export of Ecstasy. This has led to an increase in cooperation between the Netherlands and the U.S. . in order to counteract drug smuggling. In 2003, the Volkskrant reported that every year an average of ten Dutch citizens stand trial in the U.S. for Ecstasy smuggling (http://www.volkskrant.nl/vk/nl/2668/Buitenland/article/detail/739774/2003/07/24/Per-jaar-tien-Nederlanders-uitgeleverd.dhtml). The political influence of the US does not only affect the Netherlands on a judicial level. The threat of economic consequences has led to creating The Synthetic Drugs Unit (USD) , aimed at stopping the production and export of Ecstasy in the Netherlands, according to Tim Boekhout van Solinge on the subject of zero tolerance in Release Magazine, 2006. “To me, there is no relationship or what so ever between stricter enforcement and the quantity of drugs that is used. In the 60s it was all very difficult but everyone did it. It will never change. The government is fighting a lost battle. History teaches that,” says Gert van Veen. The repressive drug policy in the Netherlands does not appear to be easing up. Maurice Punch says that even academics who have studied supporting evidence claim that already before the introduction of the zero-tolerance policy in New York, crime was diminishing. Of course, the police force did have influence, but the declining crime rate was caused by a variety of variables. Critics claimed that assertiveness (which arose from the new policy) could well change to aggression. This reporter, who worked a couple of years for a nightclub of which he doesn’t want to mention the name for professional reasons has seen the door policy change from one moment to the next: “Last year this club had to close because of a series of incidents that had been occurring over the past years over which we always gained control. After a series of GHB incidents, however, the club got shut down for two weeks.” He suspects it to be a case of symbolic politics due to the fact that the municipality went to the media before the club could even issue a press release. After the two-week closure, the door policy of the club became much stricter. The atmosphere at the door changed and aggression occurred in the club, something that rarely had happened previously, during the weekly main events. According to J.C. Van der Stel in Een nieuw drugsbeleid? (1999), the data from the United Drug Control Program (UNDCP) says that the world trade in drugs is worth at least 400 billion dollars, which was 8% of the total international trade at that time (http://www.jaapvanderstel.nl/Boeken_en_rapporten_files/Nieuw%20drugsbeleid_1999.pdf). These figures are based on global production. At that time, heroine production was tripled in ten years and cocaine production was doubled. Statistics show that a decrease in drug consumption is not being attained, despite the national and international campaigns that are being held. Still, the repressive drug policy keeps moving its way into people’s private lives. Although alcohol seems to be the major health issue in the Netherlands, a new trend has been spotted by various institutions. 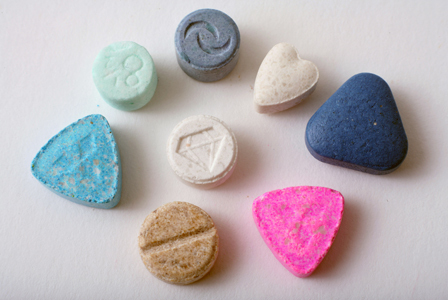 During 2008 – 2009, when there was a shortage of MDMA (the active ingredient of Ecstasy), mCPP tablets came onto the market. That year, the number of GHB incidents with emergency care nearly doubled, states M. Buster in Ambulanceritten 2001-2008. According to the article on http://www.Psy.nl, GHB addicts are usually young people in their mid-twenties. “I think that they find themselves into trouble much sooner than with alcohol. GHB is a very different drug if you look at the effects. The withdrawal symptoms are more severe after two years of use than with alcohol, where people can use it for more than 10 or 20 years before facing difficulties,” says Laura Keizer. Although Studio80 does not have Unity Drugs providing personal information, it is very pro Unity Drugs, according to Gert van Veen. According to the bookDrug Decriminalization in Portugal: Lessons for Creating Fair and Successful Drug Policies written by Glenn Greenwald, a nationwide law established in 2001 by Portugal took effect that decriminalized all drugs. Under the new legal framework, all drugs were ‘decriminalized’, not legalized. Drug possession for personal use and drug usage itself are still legally prohibited, but violating it is considered to be an administrative violation and is removed completely from the criminal realm. This is the opposite of what is happening in the Netherlands. Decriminalization has become increasingly popular in Portugal over the last eleven years. Data has shown that decriminalization has had no harmful effect on drug usage, which is now among the lowest of Europe (http://www.cato.org/pubs/wtpapers/greenwald_whitepaper.pdf). In only ten years, drug abuse has been halved (http://www.google.com/hostednews/afp/article/ALeqM5g9C6x99EnFVdFuXw_B8pvDRzLqcA?docId=CNG.e740b6d0077ba8c28f6d1dd931c6f679.5e1).